Well friends, we got all ready for Saturday and were so excited to see a whole bunch of people. The refreshments and free cookies were ready to go. 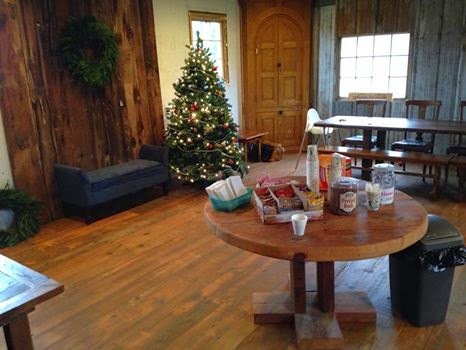 We decorated and we cleaned. But then it rained. And rained. And rained. And not a single soul came out to get their free family photos. And that is totally okay because even though it was pouring we still sold 5 trees! We would have sold 2 more, but our pickin’s got slim. (Don’t worry we are restocked and ready to sell you a tree!) And what is even better is that our families got 4 hours alone with a photographer! It was heavenly really. Seriously, how cute?! And I’m not even going to show you the cutest pictures. They are all saved for Christmas cards! So readers, you may have missed some awesome photos for free, but there is still time to get a tree 😉 Only 16 days until Christmas! Okay, so besides bombarding you with free family photo information and tree sales, we have actually been pretty busy down at the mill. So it is time for a couple order updates! 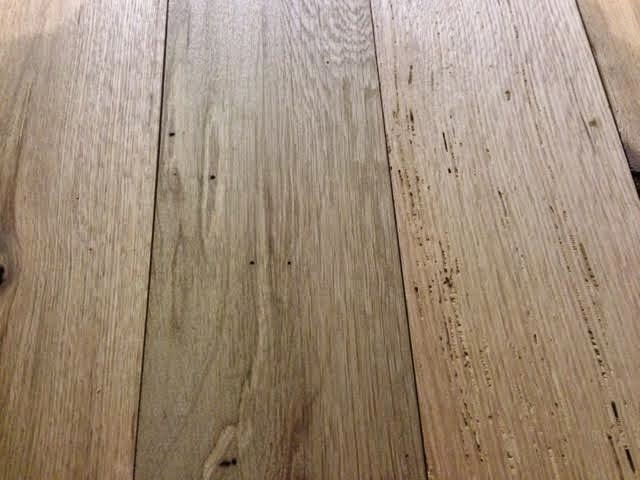 First up – We have been working really hard (okay by “we” I really mean Dean and Tyler) on getting order #9621 for 550 square feet of our Narrow Oak finished this week. As of the end of today, this order is complete and ready to be picked up! 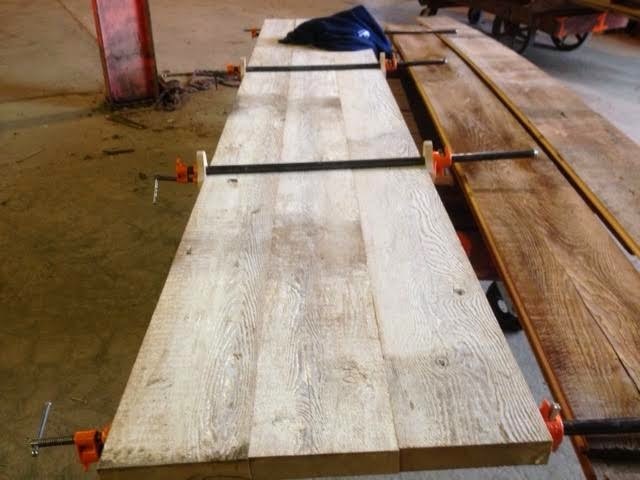 Today, Tyler has also been working on a tabletop for order #9622. It is really coming along nicely! 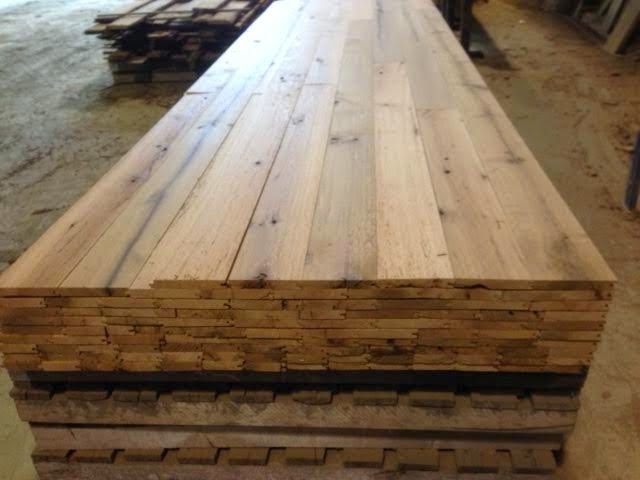 If you act quick, there is still time for you to order a table or bar top and get it in time for Christmas! Posted in Uncategorized on December 9, 2014 by sharp_admin.